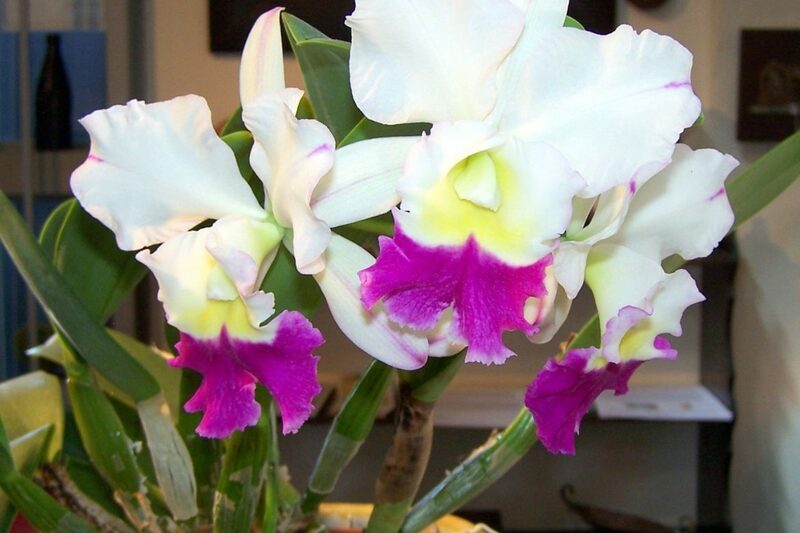 A BC cross, (Brassavola, now renamed Rhyncholaelia and Cattleya cross). Unnamed, reliable, blooms every year between Thanksgiving and Christmas. Fragrant, come in for a sniff! Check in here (or come visit!) to see the next blooming orchid or other weird plant that comes in.